April 7, 2002: Valencia Town Center. 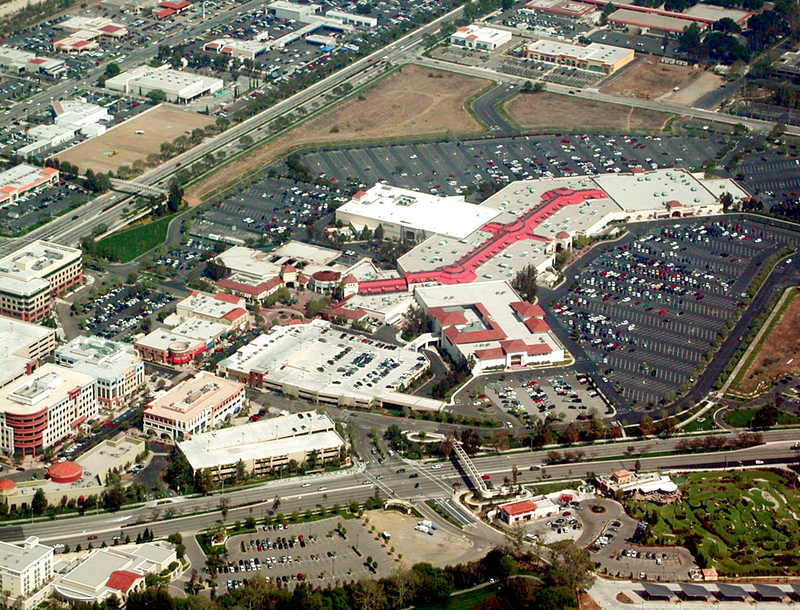 The original 1992 indoor mall is at right; the newer Town Center Drive office and retail area is at left. LW2157b: 9600 dpi jpeg from digital image by Leon Worden; flight courtesy of Gerry Hider.